It's really intimidating traveling alone in a foreign country but I learned a while back that if you can't change your situation, you have to adapt and make the best of it. The more you complain, the worst your situation becomes. This state of thinking was applied when I landed in Shanghai. 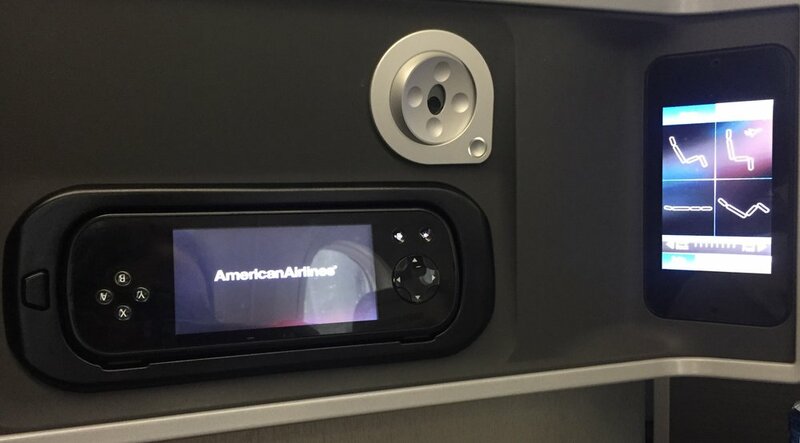 As most of you know, I have amazing flight privileges (AKA airline brat) and I actually got business class on American from Chicago to Shanghai. It was incredible. From Mrs. Doubtfire to the Tito's, it was a very relaxing 15 hour flight (I'm serious, my seat could lay flat and all that in between). Let's just say I went from luxury to steerage in a split second after deboarding AA289. It probably didn't help that I had an expectation of the PVG airport that was not met in the slightest. I couldn't check in to my flight because I was there 5 hours early so I got 2 bottles of FIJI water and set up camp with the insane amount of other people at the domestic terminal. Finally, after almost 3 hours of Two Dots, I checked in and headed to the gate. This entire experience at this airport made me so grateful for my lifetime of airport knowledge, especially international. They announced boarding with an automated recording first in Chinese then English (thankfully). After giving my ticket to the gate agent, we were herded onto a bus and finally got on the plane. In the states, normally everyone is relatively quiet and calmly sits in their seats. This was not the case. First off, I've heard rumors that these Asian airlines buy old planes from American and Delta. I totally believe it. There was pure chaos and almost panic as everyone got on the plane. The seats were by number and English alphabet so I can only imagine not being familiar with the ABCs would result in issues finding your seat. Me, no problem. ;) Also friends, you think I speak loud? You have no idea how LOUD everyone is here and it's apparently normal. Sorry, no pictures from this part of the trip. As we were taking off, I thought about the missing Malaysian aircrafts and immediately decided I must sleep. There was a bit of turbulence but I slipped into an awkward, delirious sleep coma and didn't wake up until the flight attendant asked me to turn off my phone. Yea, they still do that with take off and landing (could be these old planes). Anywho, grateful to be alive, I got off the plane and found my project coordinator. Or should I say she found me... a confused white girl desperately seeking Susie... that's her name, see what I did there? We took a local bus and after a "10 minute" walk, I FINALLY made it to the Ms. Panda Hostel. 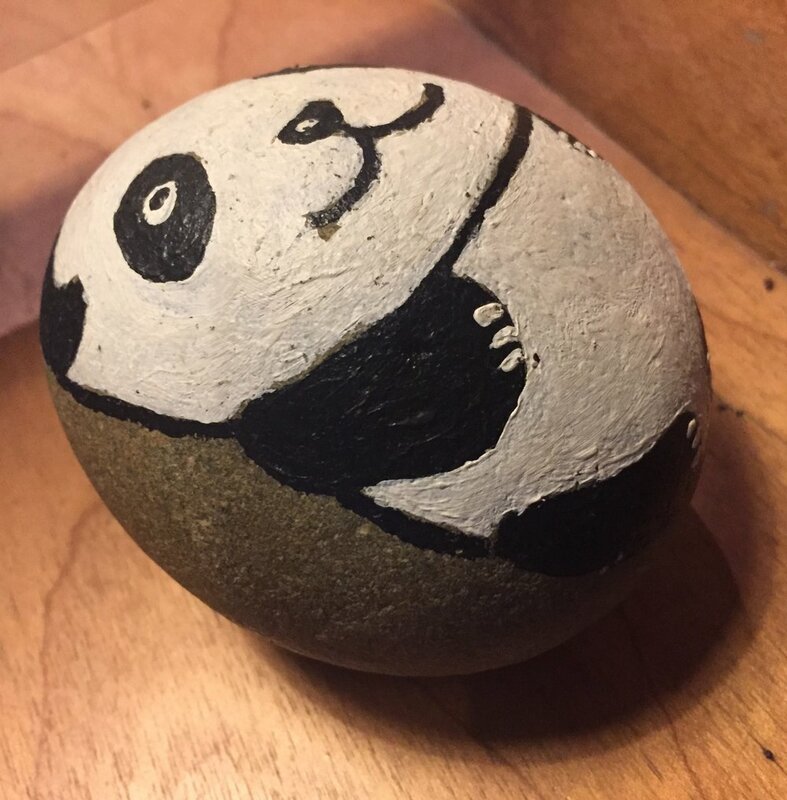 I really loved this rock. I joined six other ladies and I shared a room with three, which was quite awkward walking into at midnight. They are from all over; 2 English, a German, Scot, Canadian, and one other American. Seems like a great bunch and I am 100% more relaxed now that I'm here and settled with these lovely women. One who I believe will have me on the floor laughing most of the trip. She laughs while telling a joke, I laugh with her, and she laughs harder. Two peas. 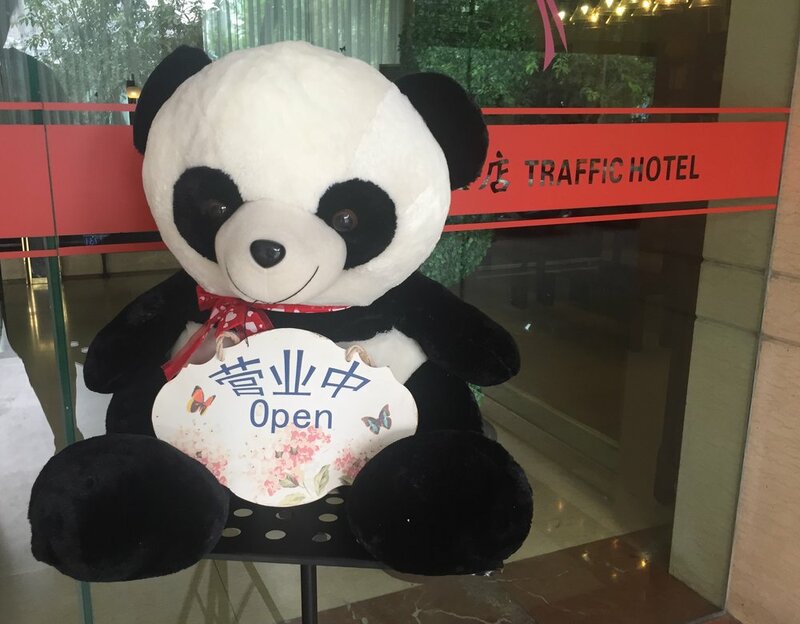 I'm a bit behind but I will write about the adventures in Chengdu tomorrow on my 3 hour bus ride to Bifengxia Panda Reserve.